LDV Hospitality founder and principal John Meadow, along with regional director of operations David Abes, plan to open Dolce Italian at Buckhead Atlanta later this summer. Dolce Italian at Buckhead Atlanta will open at the corner of Buckhead Avenue & Bolling Way, above Etro. Many in Atlanta might ask themselves if this Dolce is related to the Dolce Enoteca that occupied a large space in Atlantic Station when the project first opened in 2005. The answer to that question is no. Dolce at Atlantic Station was operated by Los Angeles-based Dolce Group, whereas this new restaurant will be operated by New York-based LDV Hospitality. 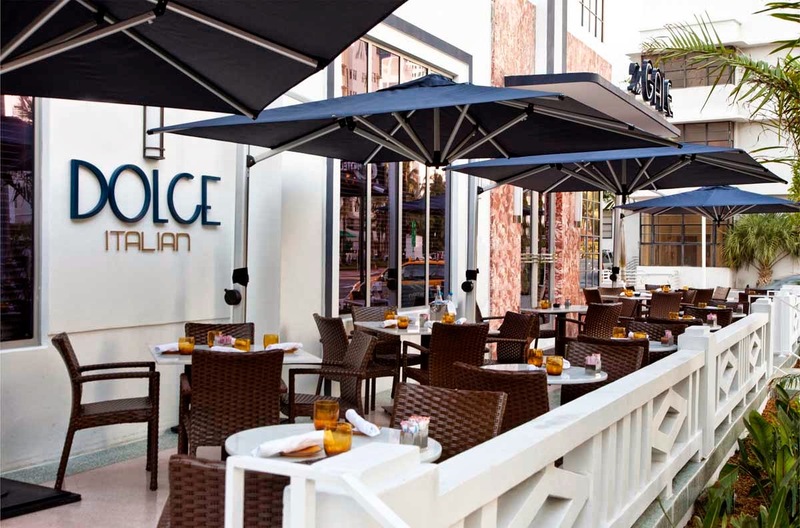 Dolce Italian South Beach is located within the Gale hotel on Collins Avenue and opened in 2013. According to the Dolce website, another location is "coming soon" to Chicago. LDV opened their first Buckhead Atlanta concept, Corso Coffee, last month, and will add American Cut and Dolce Italian later this summer. Whoa now. Being a future sister to a restaurant featured on "Best New Restaurant" might provide some recognition to the few thousand people who watch it on Bravo. But the only way to get credibility is to be worthy of it on site consistently. It does not come immediately. Best of luck to LDV. What do you make of these companies having multiple concepts in one location? You have the Tin Lizzy's group with Gypsy Kitchen and Southern Gentleman (neither of which I have heard good things about the food. Actually have heard it's not good at all); LDV with Corso, American Cut, and Dolce Italian; Consilient Restaurants with Thirteen Pies and American Food and Beverage. I'll also add that I think the location choice of Corso is a bad one. Unless you intend on sitting at the coffee shop for a while it doesn't lend itself to someone who is not shopping in the development to just stop in for a quick coffee. You either have to valet your car which makes your coffee more expensive or park and have a somewhat long-ish walk from the deck just to get to the coffee shop. Maybe they aren't trying to pull passerby traffic. It also seems that it would be a better fit where the future Tod's store will be - in the center of activity instead of a bookend. Just bad placement, IMO. I just ate at Dolce in South Beach last weekend. Really good menu and everything that our party had was delicious. Hope the good quality and service carries over to the Atlanta location. Home Park is ripe for development, but hopefully not more of this type. It's too prime a location to stay ramshackle rentals for ever. Things are already starting to change for the better within the neighborhood as more homes are renovated and some torn down and rebuilt to take advantage of the skyline views and primo location.